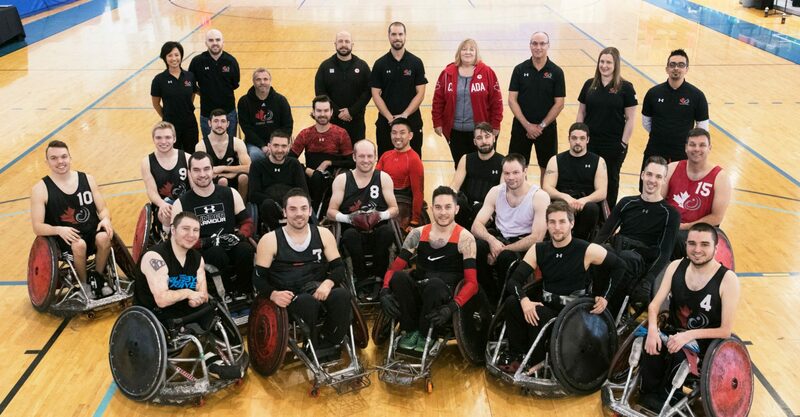 Wheelchair Rugby Canada is committed to player development at the active start level all the way to the sport for life level while also encouraging more and more Canadians to play wheelchair rugby from coast-to-coast. Across Canada, there is a wide range of wheelchair rugby programs from the beginner to the intermediate to the elite level. Bridging the Gap (BTG) is a national initiative that encourages people with disabilities to get active and stay active. By hosting a series of “Have a Go” days and connecting with partners across the country to build beginner programs, BTG helps reduce barriers to sport participation. What is Bridging the Gap? – Each province might be different in what programs they offer but, Bridging the Gap, Getting Physically Active is a program specifically designed to help you become aware of the sport and recreation options available, and to try out wheelchair sports of your choice. The program currently promotes and supports Rugby, Basketball, and Tennis, but if you are interested in something else, just let us know and we’ll help you get connected to the right people or program. Whatever wheelchair sport you decide to participate in, BTG is designed to help you get involved and stay involved. To learn more about Bridging the Gap, visit their website at: www.btgcanada.ca. Podium Club is a new, innovative program designed to support the development of wheelchair rugby clubs across Canada. It uses a multi-tiered approach, based on Bronze, Silver, and Gold levels of support that are geared towards the elements we’ve identified in our Long-Term Athlete Development Model, which is published as Full Contact. Provide more players eligible for provincial squads.